Fashion Icons – Part 4 | Oh, for the Love of Vintage! I realize it has been a long time since my last blog post, my apologies. More posts are in the works and I hope you will stay tuned. I started the ‘Fashion Icons’ series back in February 2012 and since have profiled Betty & Veronica, Bild Lilli and Nancy Drew. 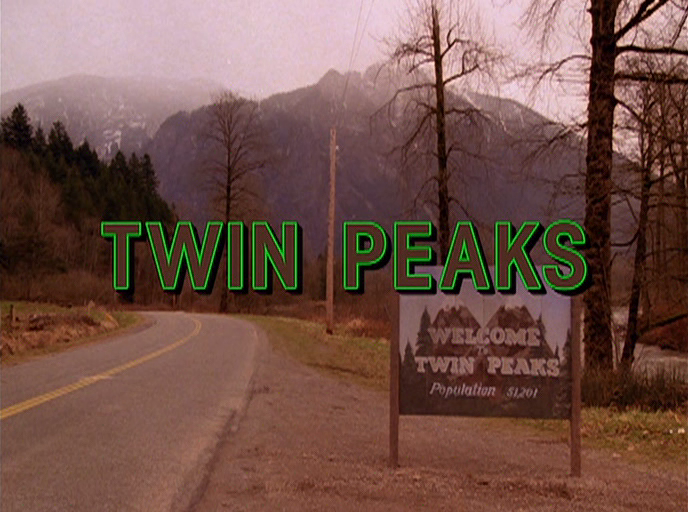 Now it’s time for my next installment, so without further ado – welcome to Twin Peaks! Twin Peaks is one of my all time favourite TV shows, right up there along with Granada’s Sherlock Holmes. The TV series began in 1990 with a pilot episode, which I watched with fascination. I was hooked on the show straight off and never missed an episode. I even taped all the episodes on my VCR! I was obsessed with the show and bought soundtracks, books and magazines devoted to it. I still have my ‘Wrapped in Plastic’ magazines, which are, ironically, wrapped in plastic! 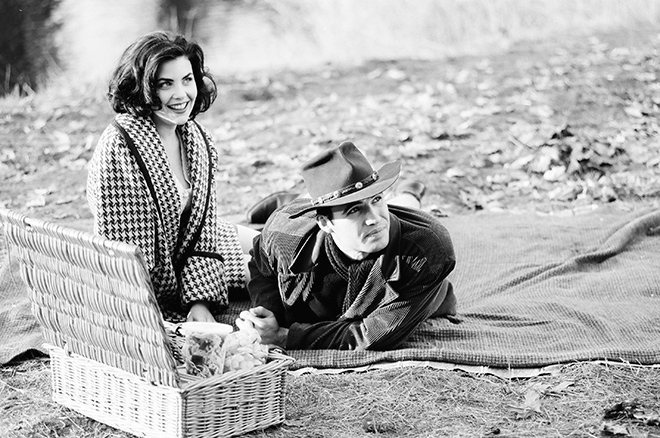 The series was created by David Lynch and Mark Frost and aired for two seasons on ABC until it was cancelled. When the second season was airing, at the end of each episode, there was a ‘save Twin Peaks’ spot. It encouraged people to write in to save the show. I didn’t send a letter because I never thought the show would be cancelled. Also, I was in my early teens at the time and not much into ‘following through’ on anything! I was inspired by the fashion displayed in Twin Peaks without a doubt. How could one describe the style of the show? A strange mixture of 40s, 50s, 60s and 80s fashion – at its best and worst. Like the show, the fashion was often dark and mysterious. It wasn’t hard for me to affect a TP look at the time as 50s sweater sets, plaid school girl skirts and camel coats were readily available in my mother’s vintage shop. The women of Twin Peaks were fashionable, each in their own way. Several of them wore vintage with Audrey, Laura, Donna and Maddy often sporting an innocent 50s ‘school girl’ look. Who can forget Audrey’s iconic 50s saddle shoes? The ‘school girl’ look wasn’t the only popular style on the show, so was the ‘sultry siren’. Vampy, curve hugging dresses adorned almost every female character on the show at one time or another. Even Norma at the Double R Diner was fetching in her vintage diner dress! No wonder the show had a strong style following! References to the fashion of the show were everywhere at that time, in magazines and even on other TV shows. I even remember Brenda of Beverly Hills 90210 going through her ‘Twin Peaks’ phase! 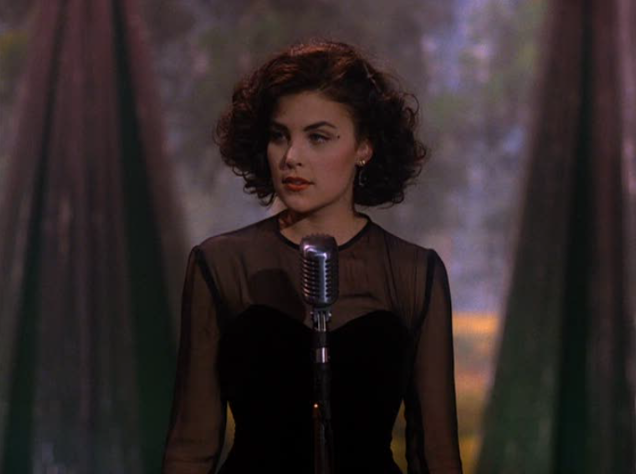 By far, the best dressed female on the show was Audrey Horne (played by the beautiful Sherilyn Fenn). So let’s have a closer look at some of her fabulous outfits! Now I seriously need some cherry pie and coffee! Ah, Twin Peaks. So awesome! I love Audrey’s style. I loved Twin Peaks! In addition to Audrey’s fabulous style, you also had Donna’s classic sunglasses and sweater sets…while some were definitely ’80s, a lot of them had a delicious retro feel. Powderkeg, definitely! One can’t forget Donna! Oh my, just today I had to find out that I lost a sweater like in the last picture to moths. Now I´m even more sad about it as I´d have a skirt like hers to go with it 😦 I have to say though that I never watched the show. I´m not even sure if it ever was aired in Germany. Probably not. I’m so sorry to hear about the loss of your sweater! Maybe you can find something similar? Hiya very cool website!! Man .. Excellent .. Superb .
. I’ll bookmark your blog and take the feeds also? I am happy to seek out so many helpful info here in the post, we want work out more strategies on this regard, thanks for sharing. . . . . .
« Oh, for the Love of…Pop-its!